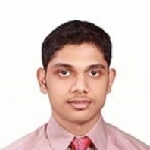 Arun Kumar V R from Thrissur, B.E. - B.Tech Graduate. XCODE 4X COCOA FRAMEWORK OBJECTIVE C C C++ COREDATA SQLITE AND BASIC IP..
are one of expert skill area's of Arun Kumar V R .
Arun Kumar V R is working in IT Software industry.